Jeff Randall presents Jeff Randall Live, every Monday - Thursday at 7.00pm on Sky News. Jeff Randall Live takes a business look at the big news stories and issues of the day, with regular exclusive guests and big interviews. Since first joining Sky News in September 2007, Jeff has interviewed a range of big hitters including former chairman of US Federal Reserve Alan Greenspan, Royal Mail Chairman Allan Leighton and Chief Executive McDonald’s UK Steve Easterbrook. In 2008 alone, Jeff spoke to a plethora of big-business names including Michael Grade, John Varley, Group CEO of Barclays, Sir Stuart Rose, Sir Martin Sorrell, Sir Brian Pitman and Sir Philip Green. He also presented Jeff Randall Live from Miami as part of Sky News’ US election coverage. Jeff was appointed Editor-At-Large of the Daily Telegraph in November 2005, after nearly five years as the BBC's Business Editor and writes a twice-weekly column for the newspaper. In addition to ‘Jeff Randall Live’ on Sky News, he has also made documentaries for ITV and Radio 4 and between 2004-2007, Jeff presented a regular show on Radio Five Live. 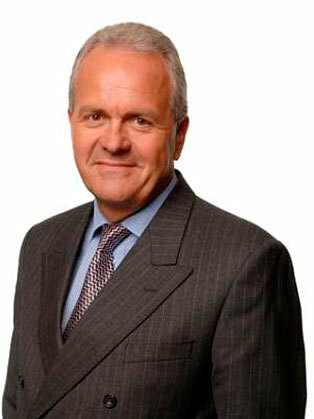 Jeff joined the BBC from Sunday Business, which he edited from its launch in February 1998. Under his editorship, Sunday Business won the Sunday Newspaper of the Year Award and the Harold Wincott Award for Financial Journal of the Year. Before launching Sunday Business, Jeff was, over a period of nine years, Assistant Editor, Sports Editor and City & Business Editor on the Sunday Times. He was also a Director of Times Newspapers (1994-95). His awards for journalism include: Harold Wincott Award for Business Broadcaster, 2004; Communicator of the Year, 2004; Sony Gold Radio Award for Best Sports Broadcast, 2003; Best Business Broadcast Prize at the Business Journalist of the Year Awards, 2003; Decade of Excellence Prize at the Business Journalist of the Year Awards, 2003 ; London Press Club's Business Journalist of the Year Award, 2000; and Financial Journalist of the Year, 1991. Randall is a Visiting Fellow at Oxford University's Business School, and has been awarded honorary doctorates of letters by Anglia Ruskin University (2001), the University of Nottingham (2006) and BPP University College (2011). He is also the twenty-ninth member of the University of Nottingham College of Benefactors, into which he was inducted in July 2010. He is an honorary professor at Nottingham University's Business School. He was educated at the Royal Liberty Grammar School in Romford, Essex and the University of Nottingham (BA Economics). He was awarded an honorary doctorate from Anglia Ruskin University in 2001 and an honorary doctorate from the University of Nottingham in 2006.